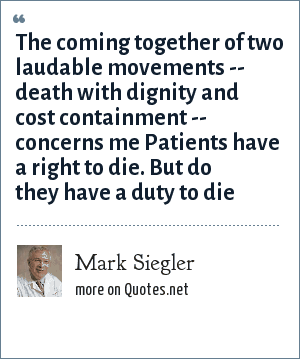 Mark Siegler is an American physician who specialized in internal medicine. "Mark Siegler Quotes." Quotes.net. STANDS4 LLC, 2019. Web. 23 Apr. 2019. <https://www.quotes.net/quote/17507>.